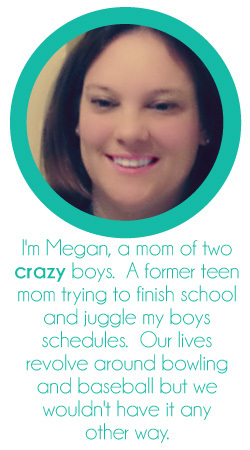 Simply Megan: Going to be a busy one! CJ's doctors appointment is this afternoon. We have to be at the hospital for a 2:30 CT scan and then a 4pm appointment. I'm hoping we are home by 6 but that may be pushing it. I need to do grocery shopping & a little bit of Christmas shopping this morning after I drop Hayden off at school. Hopefully while I am gone getting that stuff done CJ will get the Christmas things out of the attic so we can get some decorating done tonight. We won't be home basically all weekend and with next week being crunch week & then finals it will probably be the week of Christmas before the house is completely decorated. But it will get done! I have so much homework to get done this weekend and I'll be sitting in a bowling center for the majority of it. I'll be bringing my Christmas cards to address while I watch Deqlan bowl so that will be one less thing I have to work on at home. Sunday we are going straight from Deqlan's tournament to another bowling center for CJ to bowl league so I will have to bring homework with me for that. If you could today please keep us in your thoughts & prayers we are both very anxious about this afternoons appointment. Up until Monday we were both very positive and excited for it. But with the things that have happened this week we are preparing ourselves for the worse. Hi Megan! Sending positive thoughts your way!